EAU shortlisted for Yacht Concept Over 40 Metres Award in The International Yacht & Aviation Awards 2018. Tjep introduce the EAU concept electric luxury yacht. Lead designer Frank Tjepkema and his team have aimed to push simplicity and refinement to its limit by imagining a ship that captures the reminiscent qualities of the water itself. EAU aims to push the technological and aesthetic qualities towards ultimate cleanness. 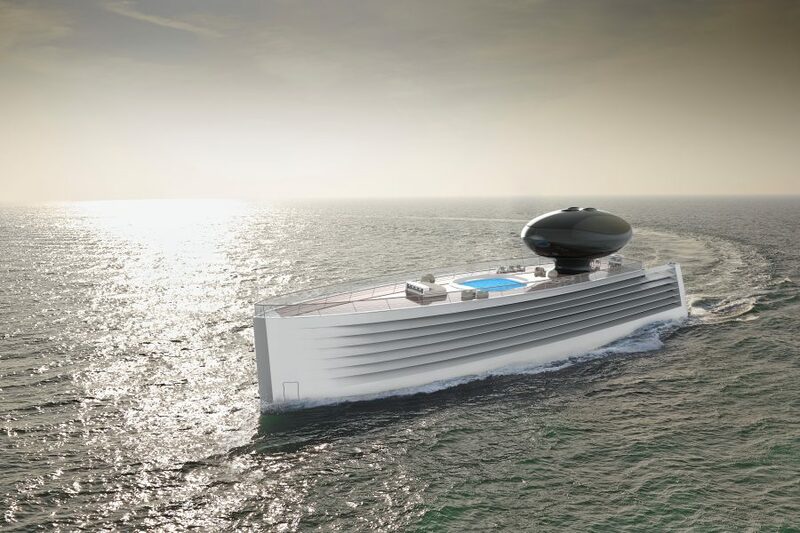 The EAU concept was developed with the idea that in the near future electric car developments will influence the yacht building industry, increasing the availability of large volume on-board electricity storage and charging points in ports. EAU aims to set the tone towards a future in which the cleanest possible luxury motor yachts will be available, defining a new radical aesthetic to accompany the necessary energy revolution towards electric propulsion. With a length of 63 metres, width of 13.5 metres and beam of 18 metres, EAU has been designed to precision. Tjep have designed this concept to have 100% electric propulsion with a speed of 25 knots. The hull and superstructure are made from aluminium which is projected to contains 12 cabins. 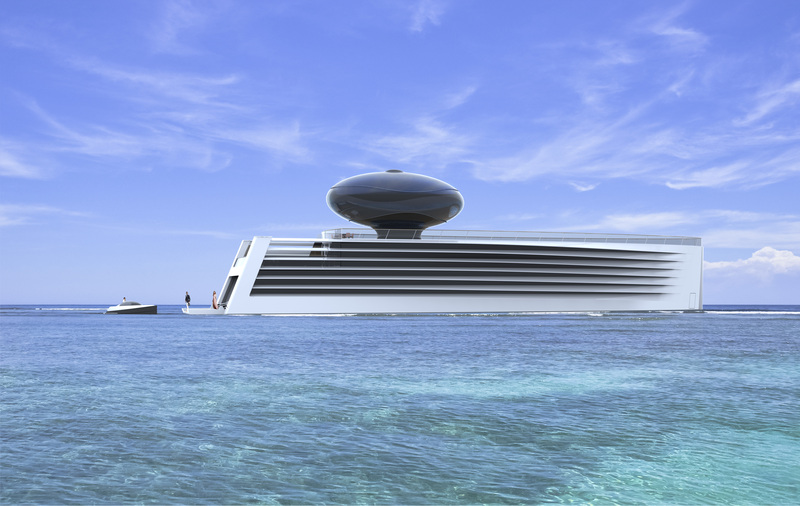 The inspiration behind the EAU concept yacht was said to be water drops and layering. Using familiar elements from traditional yacht craftmanship; the way in which the wooden planks form the layered lines along the hull of the wooden ships. The water droplet shaped wheelhouse, creating a key element of this design, floats like an abstract sculpture above the deck.